This subspecies of giryamae produces the largest flowers, with spurs up to 15 cm long. Flowers are green with a white lip. 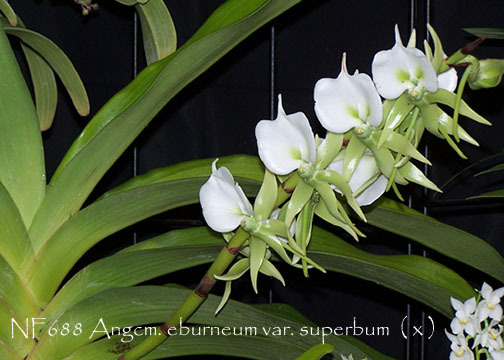 This subspecies is found on Madagascar, the Comoro Islands and Seychelles, usually growing on the sea coral cliffs as epiphytes or lithophytes. These plants grow to be quite large, so in cultivation growing them mounted isn’t practical. Instead, pot it in a coarse bark mix. Grow them in warm temperatures and bright light – comparable to standard cattleya conditions. Blooms January to April. Flowers are fragrant at night.